Feel free to use this documentary in your community, university, or your personal network of colleagues and friends. 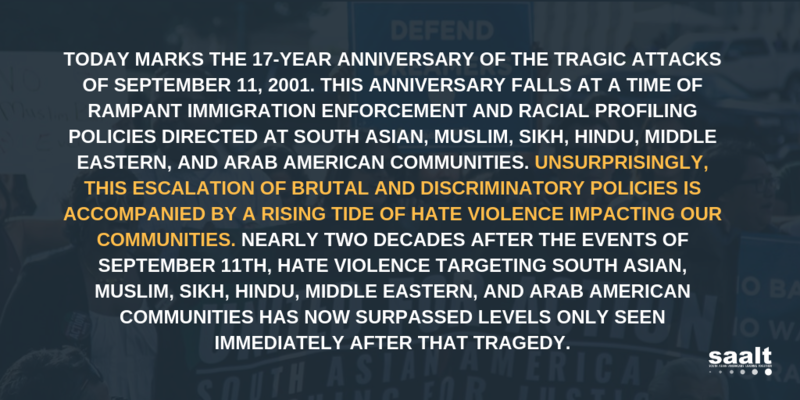 An America for All of Us was an initiative of South Asian Americans Leading Together (SAALT) in partnership with members of the National Coalition of South Asian Organizations and ally organizations. The campaign marks the 10-year anniversary of September 11 through documentation, policy initiatives, and community mobilization.